For nearly a decade Garak has longed for just one thing -- to go home. Exiled on a space station, surrounded by aliens who loathe and distrust him, going back to Cardassia has been Garak's one dream. Now, finally, he is home. But home is a world whose landscape is filled with death and destruction. Desperation and dust are constant companions and luxury is a glass of clean water and a warm place to sleep. Ironically, it is a letter from one of the aliens on that space station, Dr. Julian Bashir, that inspires Garak to look at the fabric of his life. Elim Garak has been a student, a gardener, a spy, an exile, a tailor, even a liberator. It is a life that was charted by the forces of Cardassian society with very little understanding of the person, and even less compassion. But it is the tailor that understands who Elim Garak was, and what he could be. It is the tailor who sees the ruined fabric of Cardassia, and who knows how to bring this ravaged society back together. 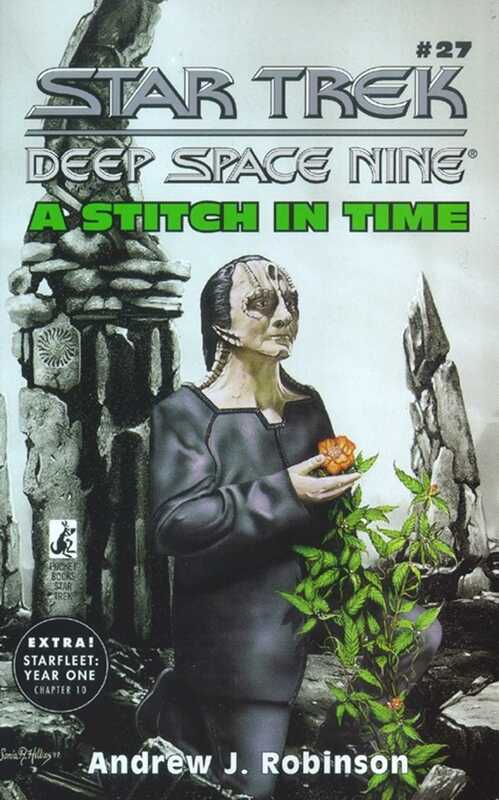 This is strange, because a tailor is the one thing Garak never wanted to be. But it is the tailor whom both Cardassia and Elim Garak need. It is the tailor who can put the pieces together, who can take a stitch in time.